One of the most thought of cuisines when you think about Louisiana crawfish. A cash crop, during the winter and spring, crawfish are bought by locals, restaurants, and grocery stores for boiling and peeling for dishes like crawfish stew or étouffée. 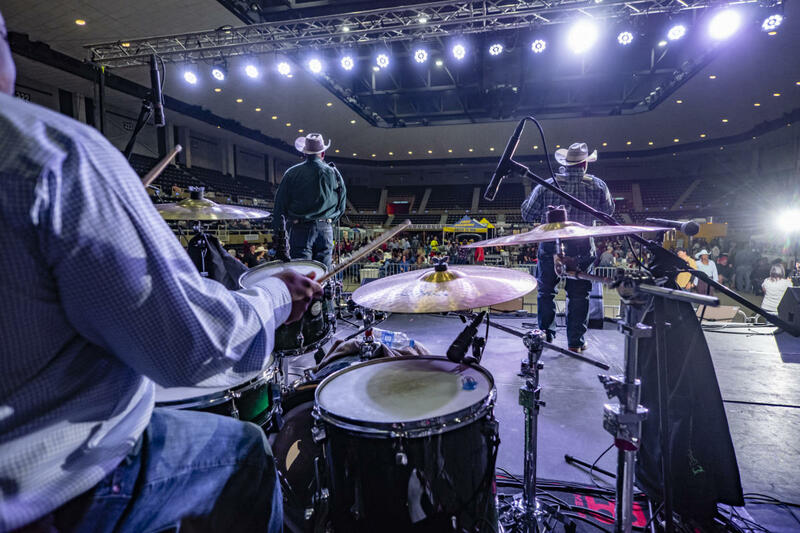 Usually held in April, the Original DownTown Lake Charles Crawfish Festival - the SPICIEST Event in Southwest Louisiana - promotes awareness of the crawfish season, the history of it, and how the seafood industry has benefited Louisiana in the past 200 years. Crawfish can become available in some restaurants as early as December, but if size matters, you may want to wait until later in the season around March to June. 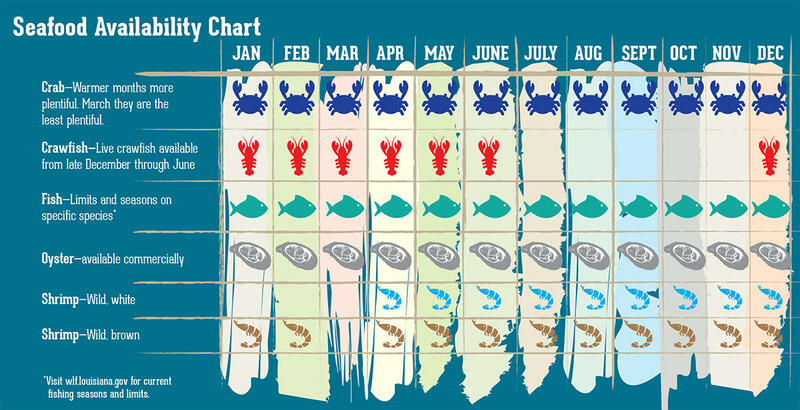 Check out our seafood chart below. Are Crawfish Healthy to Eat? A freshwater shellfish that is considered a Louisiana delicacy, crawfish can be found in many places! From front yard drainage ditches and clean freshwater streams and bayous (good luck catching enough on your own to boil) to the convenience of crawfish farms, grocery stores, restaurants, and road-side boil stops. You can buy crawfish already boiled or still alive in a netted sack to take home and boil/season to your liking. Lake Charles/Southwest Louisiana has a lot of places you can conveniently eat or pick up crawfish, see our list below. Want to know how much crawfish are? There&apos;s an app for that and prices are updated weekly. Check out the Crawfish App here.